There is an invisible force that draws us to the vertical. A will to defy the natural law that tells us this is the solitary domain of spiders and geckos. Off the ground we can achieve a certain freedom that ties us down when we are earthbound. All of life's daily issues gain insignificance as the only focus becomes our delicate contact with the stone. 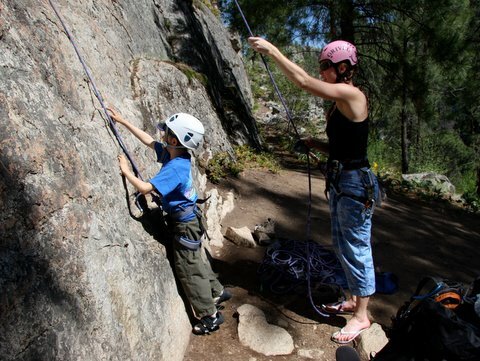 Rock climbing is a great activity for the whole family! It encourages trust and teamwork and instills confidence. Plus it’s just a whole lot of fun. You’ll learn the skills for belaying and rappelling as well as key movement techniques to scale the climbs with the grace of a cat. No experience is needed, as you will be taught all the skills. For those who have climbed before, we will find challenges for everyone. Courses generally run out of Canmore but are possible in Banff and Lake Louise as well. 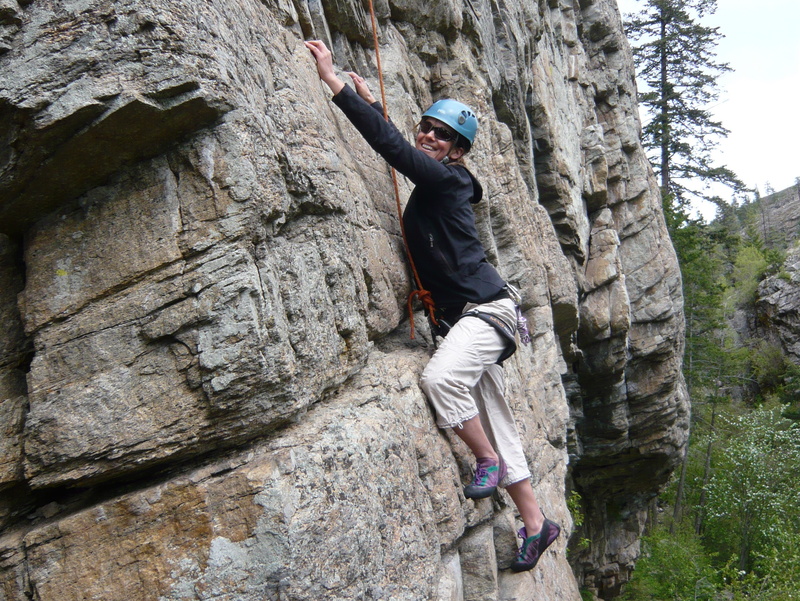 Rock climbing is super fun and the Bow Valley has some amazing rock. Get out there and GO! This complete introduction to the world of the vertical covers equipment, belaying, movement skills and rappelling in a full day format with a certified ACMG instructor. 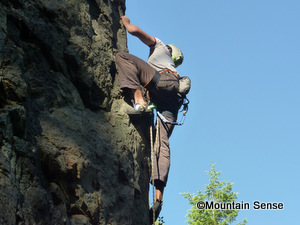 No special physical skills like upper body strength are required as good technique is the real key to successful climbing. Custom courses are based out of Canmore, Banff and Lake Louise, AB. Dates available early May to early October. See our Booking page for pricing. 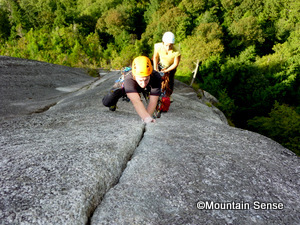 Lead climbing opens the doors to rock freedom and paves the way to independence and challenge! Learn safe and approved techniques from a certified guide in this comprehensive intro to Leading Sport Climbs. Content includes lead belays, rope management, sport leading techniques, safety strategies, anchor threads and more. You should have top rope belaying skills and be comfortable top roping on outdoor rock. Custom dates available early May to early October. See our Booking page for pricing. Trad or Gear Leading using natural protection like nuts and cams allows you to venture onto countless classics – bolted or not. Natural crack systems are the weaknesses that permit passage where you choose how well to protect yourself. Travel to climbs everywhere you desire and never be limited by the absence or shortage of sport climbs again! You should be a solid top roper with some sport leading experience. Want to get out on your own and climb anywhere you like? If you’ve been limited to top roping and want to venture out, then this course will pave the way. Learn all the skills necessary to lead both Sport and Trad climbs in this comprehensive lead climbing weekend. Multipitch climbing is the ultimate expression of the sport. Several rope lengths above the ground it is easy to get away from the crowds and closer to nature. Many skills are necessary for safe and efficient progress going up as well as down. This 2 day course covers all the essentials including leading strategies, anchor building, station management, rope handling, and multiple rappels. Low ratios allow for specialized instruction. You should be a solid top roper with some lead climbing experience. 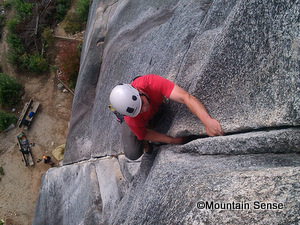 Tailor a day of rock climbing instruction to meet your exact needs whatever they may be. Let us know what you're after and we'll set it up at the most appropriate venue. Courses generally run out of Canmore, AB but are possible in Banff and Lake Louise as well. Dubbed “The Crown Jewel of Rockies Trad Climbing”, Yam has a rich history of pushing limits in bold style on featured limestone. Only 45 min. from Calgary, these sunny tall walls are home to some fantastic routes. Cracks, chimneys, steep slabs, roofs - the Yam has it all. See our Booking page for pricing. 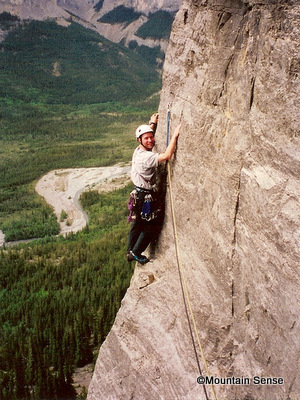 This 9 pitch sport climb is a wonderful new addition to the Bow Valley. Just a short distance from Banff, the south facing route gets sun all day and climbs immaculate featured limestone in a tranquil setting with picturesque views of Mt. Rundle and the wetland pools or “Aftonroe” below. Rising high above Canmore, Ha Ling Peak (formerly known as Chinaman’s) towers overhead. An easy scramble leads up the back side, but the intimidating north aspect seems impenetrable. 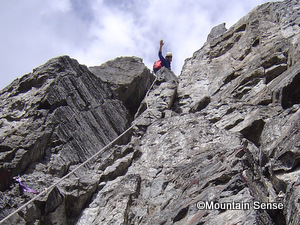 That is with the exception of this route which cleverly winds its way through difficulties to end up on top after a dozen exhilarating pitches. Enjoy a bird’s eye view of Canmore on the route and then look up to admire your efforts from a sun drenched patio in town at the end of the day. Mt. Rundle dominates the skyline from Canmore to Banff. Its impressive wall-like east end holds a myriad of great climbs ranging from the adventurous escapades of Guide’s Route and Generosity, to the steep bolted faces of Raptor and True Grit. Great positions, excellent views and plenty of fine climbing. 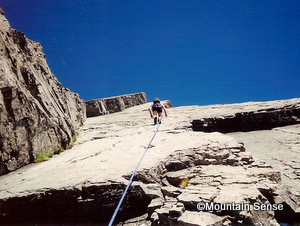 This 8 pitch wonder is one of the local classics and was hosted on the cover of the original 1997 Ghost Rock guide book. It is sustained in the 5.8 – 5.9 range for the first six pitches and offers superb views of the river valley below and peaks across the way. 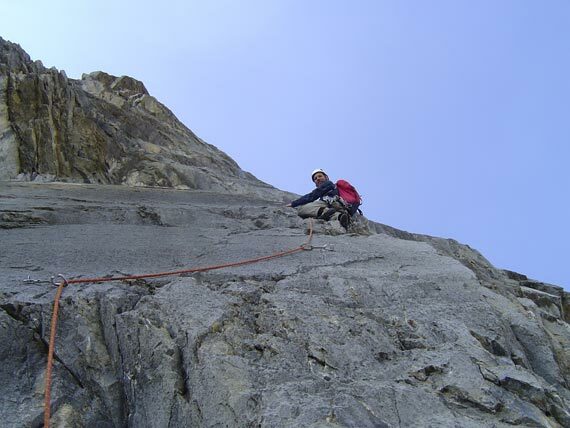 The excitingly exposed second pitch arête and a cool rock fin on pitch 6 both offer stellar photo ops. An unforgettable day out on quality Ghost limestone! This ultra classic is not to be missed. 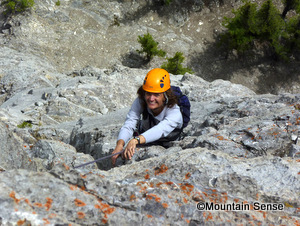 To quote the guide book “it checks in near the top of the list for THE outstanding rock route in the Canadian Rockies”. 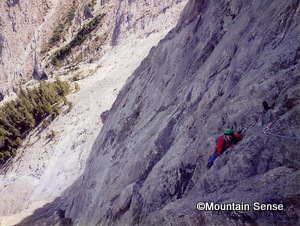 This 7 pitch adventure is characterized by 100m of steep, sustained 5.7 climbing in a uniform corner crack rare to Rockies limestone. An exhilarating traverse high on the route, combined with a free hanging rappel beside a waterfall on the descent make for the quintessential Ghost experience. Breathtaking views of glaciated peaks and azure blue lakes, hundreds of metres of fun easy climbing, and an alpine ridge finish. This route has it all! Imagine a continuous solid plane of bedrock uplifted to form the perfect climbing angle for 10-12 pitches of slabs, cracks and dihedrals. Your dream has come true!! Home to the longest sport route north of Mexico, the Bow Valley has it all. From the multipitch routes of EEOR and Chinaman's to the classics on Yamnuska, and the countless fun canyons filled with sport routes. Don't forget the precious quartzite at the back of Lake Louise. With so much to choose from it's hard to know where to start! 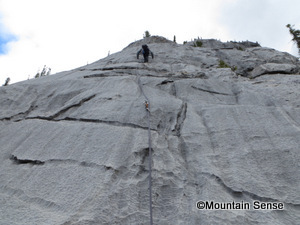 Impressive climbing on tremendous gneiss peaks. What's even more impressive is the lack of crowds in this classic West Kootenays alpine Shangri-La. 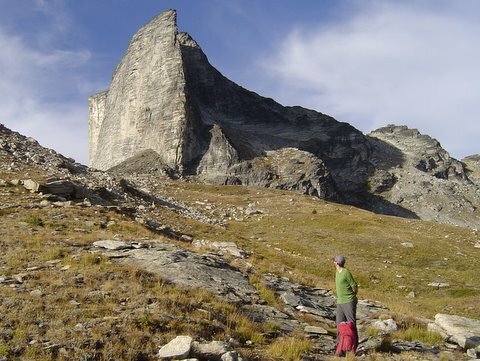 The south ridge of Gimli Peak is considered one of the classic climbs of Western Canada and is just a taste of what the area has to offer. A base camp in the scenic Mulvey basin allows for additional ascents of Gladsheim, Asgard, Midgard and Nisleheim. Not to be missed! 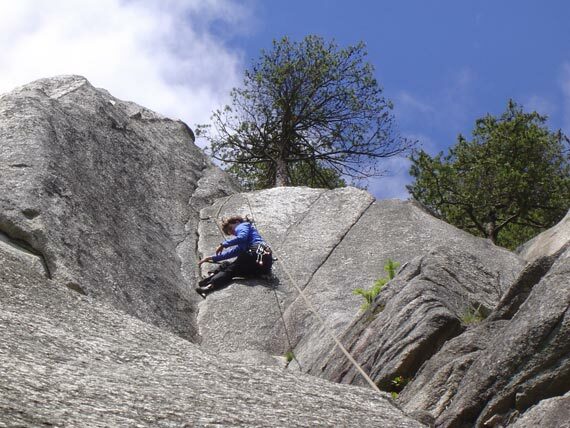 With over 800 climbs, Skaha offers tremendous variety for routes of all grades, both trad and sport. 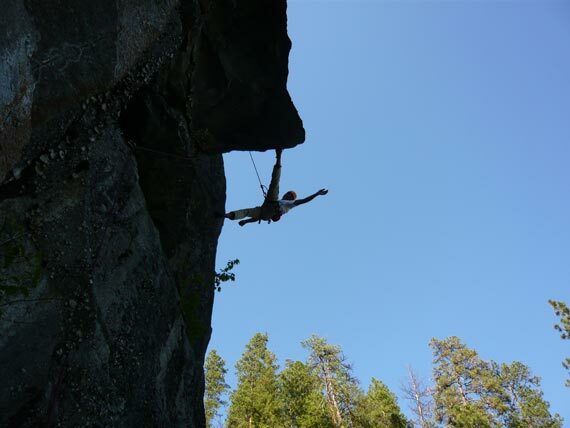 The warm, dry climate boasts one of the longest climbing seasons in Canada and its proximity to the Okanagan beach town of Penticton make it a fantastic climbing getaway. Whether it's progressive instruction you're after, pure guided climbing or both, Skaha is a great place to make it happen. 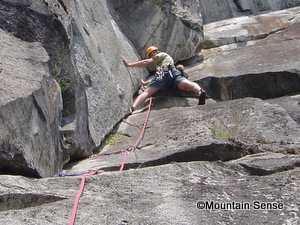 Unquestionably the quintessential rock climbing experience, Squamish is the Yosemite of the north. With great granite walls that tower above the valley floor, the setting is profound. Multipitch climbing is a great reason to come here, but the Little Smoke Bluffs offer incredibly classy crack climbing that is hard to beat. A week of fine Squamish stone will leave you smiling from ear to ear.